Fundermax are a leading manufacturer of High Pressure Laminate Cladding. 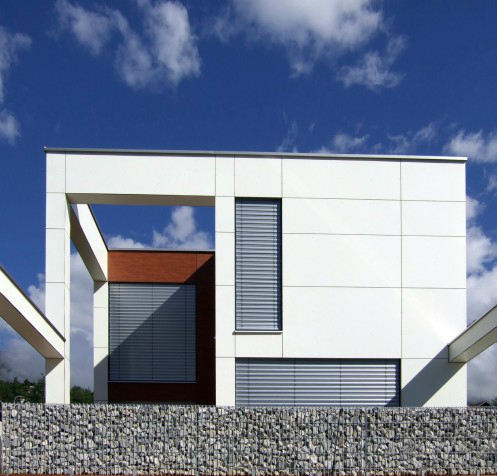 Max Exterior is the high-quality external cladding range developed by Fundermax. As a high pressure laminate, Max Exterior is produced in lamination presses under high pressure and high temperature. The panels are finished with double-hardened acrylic polyurethane resins, resulting in exceptional weather resistance. Max Exterior contains no organic halogen compounds, meaning the boards are completely environmentally friendly. Fundermax Max Exterior offers excellent protection against humidity, condensation and rain. The external panels are impact resistant and break-proof and are certified for over 50 years. The Max Exterior range consists of Max Exterior F-Quality, Max Exterior NG/NM and Max Exterior Hexa. Fundermax is well known on the Continent and growing in recognition here in the UK. The earliest building with Fundermax façade cladding on the externior was in the 1960’s. Due to the wide range of colours and finishes available Fundermax is widely used on residential developments and local authorities re-cladding projects. The cladding panels have also been used on sports stadiums and commercial buildings from offices to the front-end of manufacturing facilities. Max Exterior F-Quality cladding is a high pressure laminate panel with double-hardened resin surfaces. This surface protection makes F-Quality highly impact and scratch resistant, strong and durable. Max Exterior F-Quality offers protection against water, sun and frost and is easy to install and maintain. Approved for many applications such as balconies and building facades, F-Quality comes in 106 different colours and finishes. 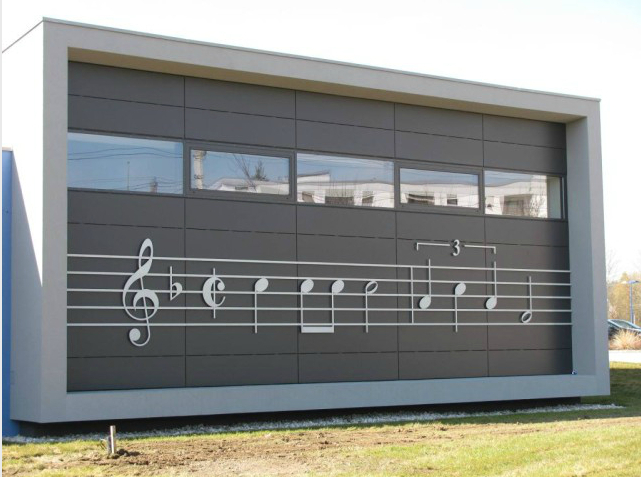 MaxExterior NG/NM is a high gloss finished cladding panel. One side of the board has a high gloss finish with the opposite side in a matt finish. The NG/NM finish adds a stunning and sleek appearance to any project. Available in solid colours, woodgrains, metallics and creative effects, Max Exterior NG/NM allows designers to create beautiful and unique results. Max Exterior Hexa offers a textured finish through laminate presses with a double-hardened acrylic polyurethane resin coating. This finish makes the panels extremely weather resistant and ideal for external use. Hexa Surface is best for patios, stairways, platforms, docks and recessed balconies. The full Max Exterior colour portfolio is available for Hexa cladding and all panels can be fabricated for intricate projects. For more information on Fundermax, please contact your local branch.